ReutersEmployees sort packages at a hub of Shentong (STO) Express delivery company in Jiujiang, Jiangxi province, November 11, 2014. Alibaba pulled in a record-breaking $US9.3 billion in sales on Singles’ Day, the biggest online shopping day in the world, the company said Tuesday. 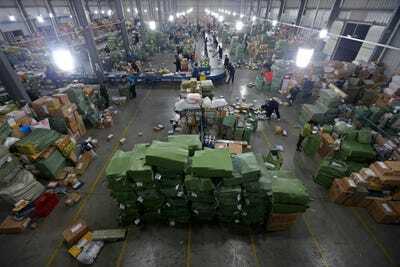 The sales number blows past Alibaba’s previous record of nearly $US5.8 billion during the 24-hour period on Nov. 11 last year. 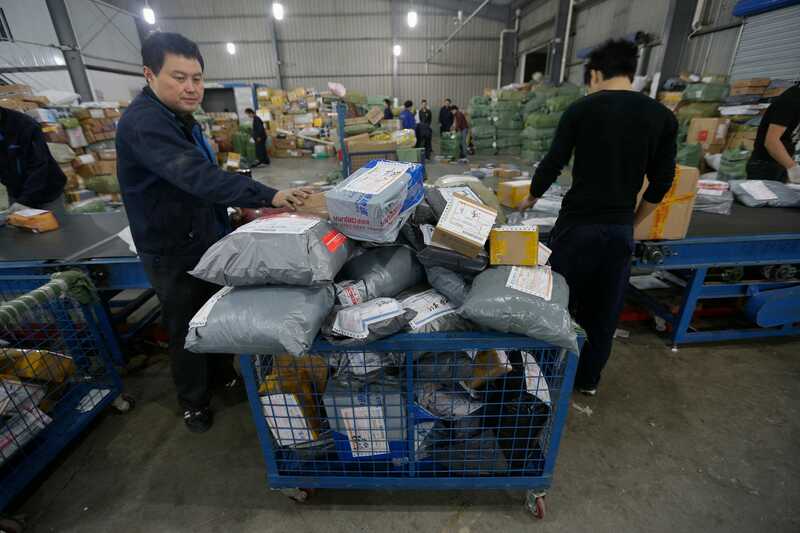 The company said it has already shipped more than 278 million orders, up from the 150 million packages it shipped last year. 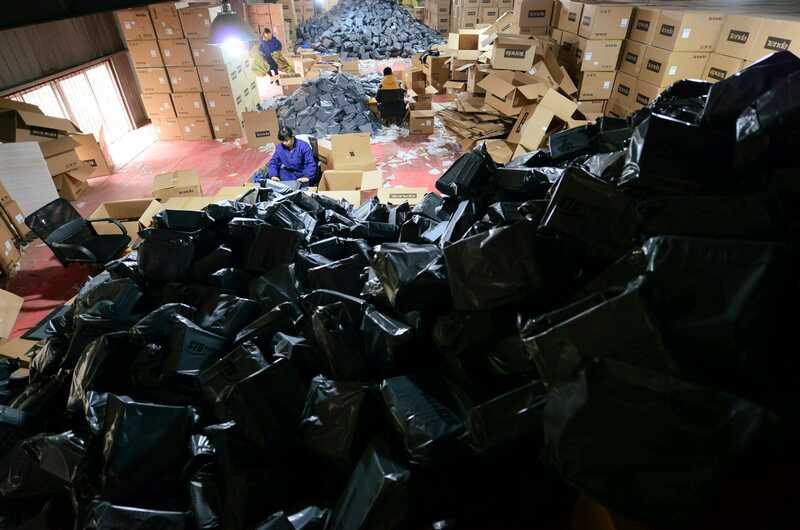 ReutersAn employee sorts packages at a hub of Shentong (STO) Express delivery company in Jiujiang, Jiangxi province, November 11, 2014. 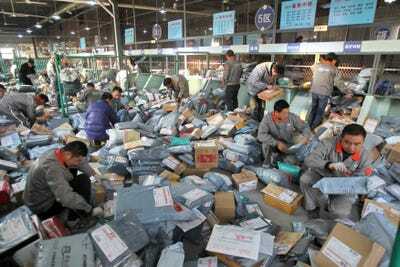 The shopping blitz is held every year on Nov. 11 (11/11) to celebrate Singles’ Day, an anti-Valentine’s Day holiday that emerged in China two decades ago as a time for bachelors and bachelorettes to celebrate the single life. Alibaba — China’s largest e-commerce company — offers deep discounts on everything from cars to clothes for the holiday. 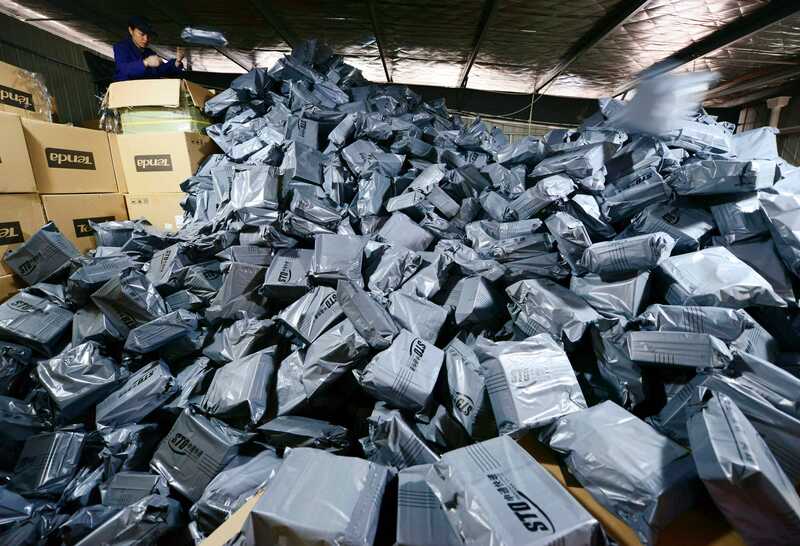 ReutersA general view shows employees sorting packages along a conveyor belt at a hub of ZTO Express Delivery company in Wuhan, Hubei province following Singles Day in 2012. The company hopes to expand Singles’ Day to global consumers by 2019, Alibaba founder and executive chairman Jack Ma said Tuesday in an interview with CNBC. 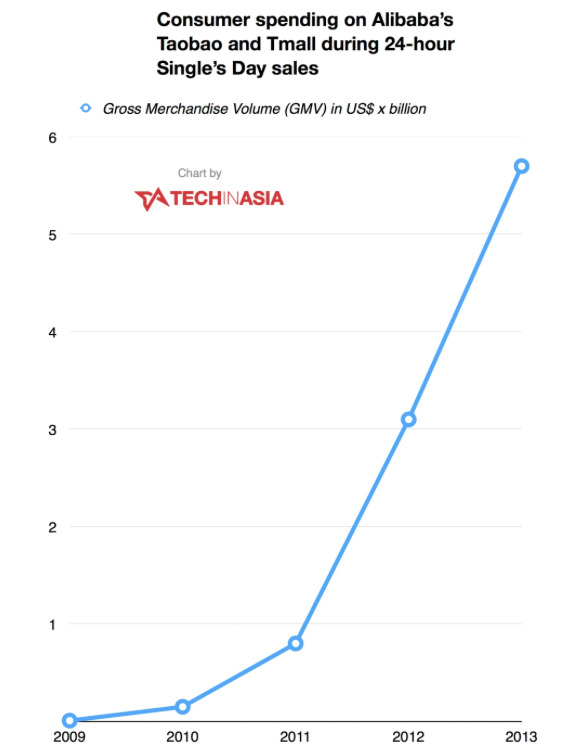 Here’s a look at how much sales have grown for Alibaba’s two e-commerce sites, Tmall and Taobao Marketplace, on the holiday over the years, according to TechInAsia. 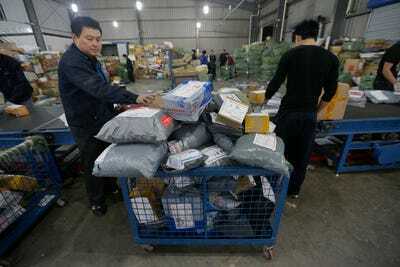 Within the first several hours of the day, the company’s sales eclipsed the $US3.7 billion in online sales recorded last year on Thanksgiving Day, Black Friday, and Cyber Monday — the largest online sales days in the US. Last year, Alibaba’s websites were offering 50% discounts on items likeboyfriend body pillowsandhoodiesthat read “I am single because I am fat.” Bargain hunters could also find deep discounts on crystal chandeliers, French wines,and even BMWs. ReutersEmployees sort packages at hub of ZTO Express Delivery company in Wuhan, Hubei following Singles’ Day in 2012.